Glitterbelle, a modern-day princess who is smart, funny and very enthusiastic! She loves her parents (the King and the Queen), adores her pet dog Bob, enjoys racing around on her scooter and can often be found climbing trees with her best friends Dazzlina and Angel. Like all princesses, Glitterbelle has pretty dresses covered in sequins, but she prefers wearing leggings and her glittery trainers! A journal with the Glitterbelle touch. 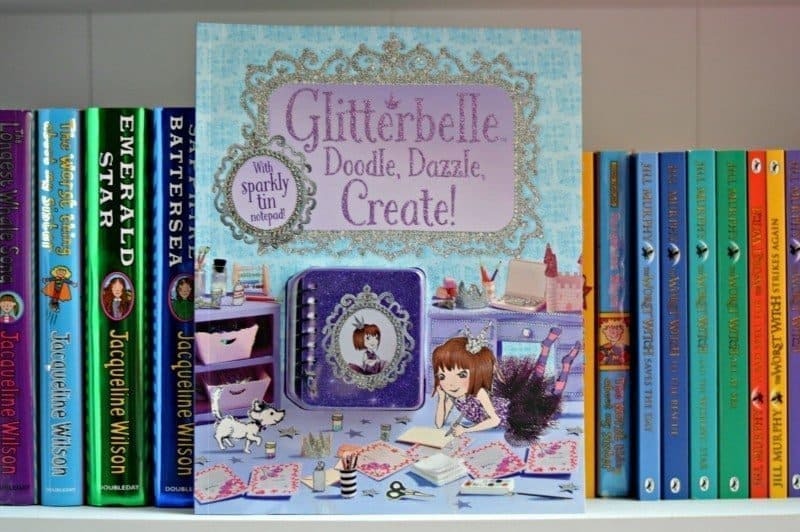 With pages to fill in about themselves, their friends, their princess style, their dreams – and to discover some of Glitterbelle’s secrets as well! An activity book with pages for doodles, designing, colouring and to get creative! Glitterbelle and her best friends Dazzlina and Angel are hosting a slumber party in the palace where, for one night, everyone gets to be a princess! Also includes a cute mini tin notepad. Glitterbelle: The Sparkliest Princess Ever! – When Glitterbelle tries to be a proper fairy-tale princess, it doesn’t quite work out. Thankfully her friends Dazzlina and Angel are on hand to help her realise that she’s the best kind of princess after all – the sparkle-tastic, Glitterbelle kind! A beautiful picture book with collage–style art. Glitterbelle: Dazzling Dress-Up – A dress-up sticker activity book that will turn readers into sparkle-tastic princesses as they join Glitterbelle and her friends during a fashion show that only Glitterbelle could dream of. With over 400 fashion stickers to help the girls try on different designs, the book also comes with 36 glittery nail stickers to bring out the fashion princess in everyone. Roo really enjoyed the two Glitterbelle books, from the purple theme to the sparkles on each of the books. 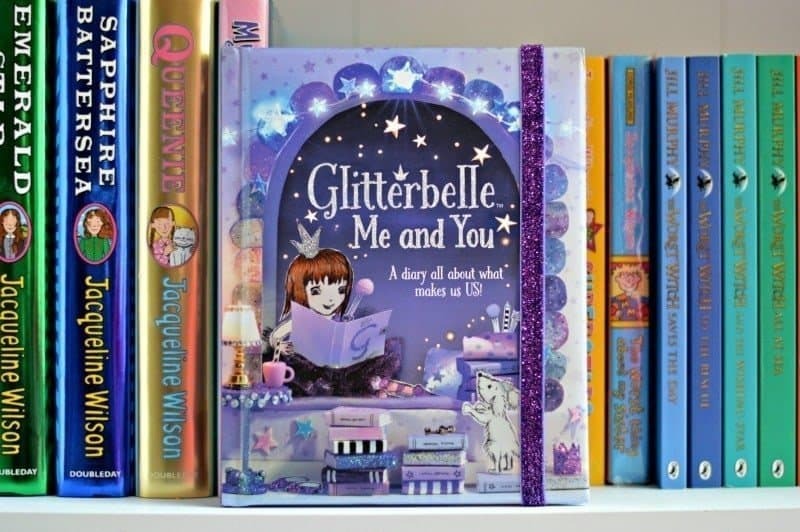 The Glitterbelle Me and You book was her favourite as it was a diary full of information she could add about herself, her family and her friends. The Glitterbelle Doodle, Dazzle, Create! contained more activities for her to get her teeth into, from making tiaras, smoothies and learning new dance moves. 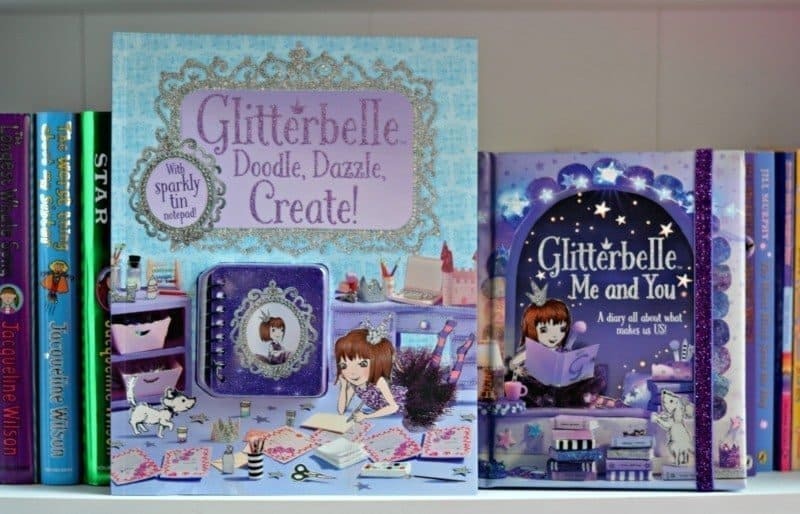 The Glitterbelle range is available from Amazon and all other good book retailers, with prices starting at just £4.99. Disclosure: We are Parragon Book Buddies and received a copy of Glitterbelle: Me and You and Glitterbelle: Doodle, Dazzle, Create! FOC for the purpose of review. I really like the look of the journal and my daughter would love the sticker book!